Some of the participants running down Hollywood boulevard during the annual Asics LA Marathon on March 17, 2013 in Hollywood , California. The marathon, attended by over 24 thousand participants, started at Dodger's stadium in Los Angeles and finished in Santa Monica pier. 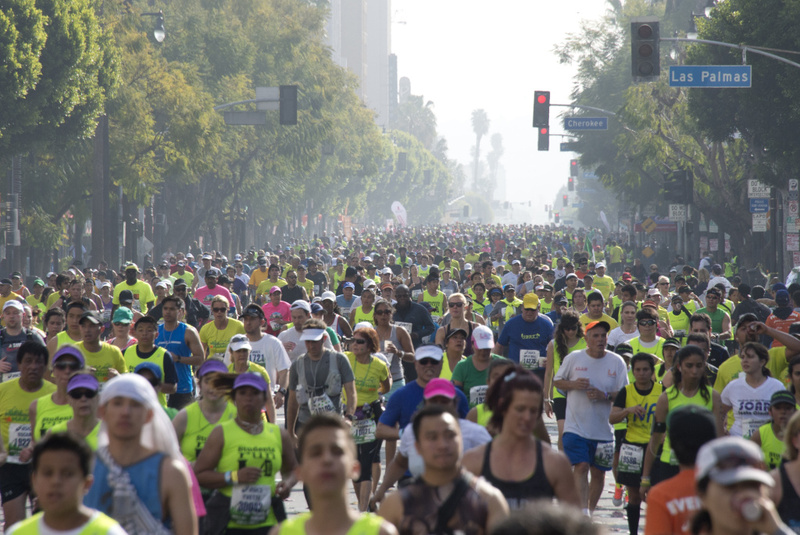 The 29th Los Angeles Marathon will be tying up city streets Sunday as some 25,000 runners and walkers make their way from Dodger Stadium to the Santa Monica Pier. KPCC's resident marathoner Sharon McNary is here with some insider tips for runners and spectators. This is her 109th race.